Convert your stove into a powerful barbecue grill. This barbecue grill box is sure to win you over to Camp Chef's savory outdoor flavor. 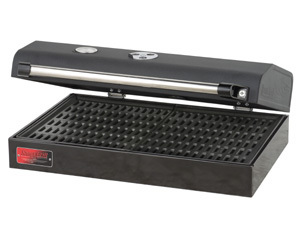 Features a reverse-louvered plate to vaporize grease drippings while distributing heat evenly over the cooking surface to create a more flavorful cooking experience. Cast iron grates offer restaurant-quality grilling. System covers two burners on all Camp Chef GB and TB models, also fits DFS-60LW and SOC60X. •Shipping Dimensions: 24.25" x 18.25" x 8.25"
We grilled steaks on it on our camp out. Everything went great! It is large enough for ten steaks. I had the burner but when I realized you had a barbecue designed for this camp stove, I had to get one and try it. 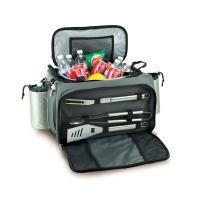 Not only is this barbecue awesome but it works great and my wife and I just love using it! This is a great product and a great price! The sport grill box did fine! I love it! 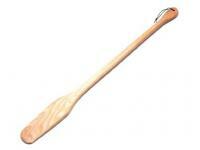 It is great quality & reasonably priced. 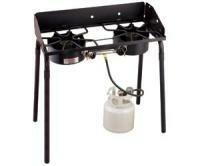 Great 3 burner stove and with the accessories can be used as BBQ or grill. Have seen friends with it and finally got mine own. You will want one too after trying it. I love it! It is the most versatile grilling system I've come across. The grill box works great - works like any good gas grill - but I can take it off and use the burner underneath. 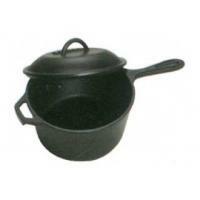 Works great for grilling when the forest service limits the type of allowed cooking. Also serves as an oven for bread/biscuits. Has hot spots over the burners. Overall, satisfied. The product is very nice!